The Zortrax M300 got the best features of the Zortrax M200, dimensional reliability and accuracy. Rely on the same credibility on a larger scale. In addition to the extra volume, the parameters of the two printers do not differ significantly. Both the Zortrax M200 and the Zortrax M300 guarantee high dimensional accuracy and accurate printing. The Zortrax M200 has a print resolution of 90-400 microns, while the M300 - 140-300 microns but both printers have high positioning accuracy of 1.5 microns and also use the same LPD 3D printing technology and some of the same materials: Z-HIPS, Z-GLASS, Z-PETG, Z-ESD, Z-PLA Pro, Z-ASA Pro. Large objects can easily be printed. 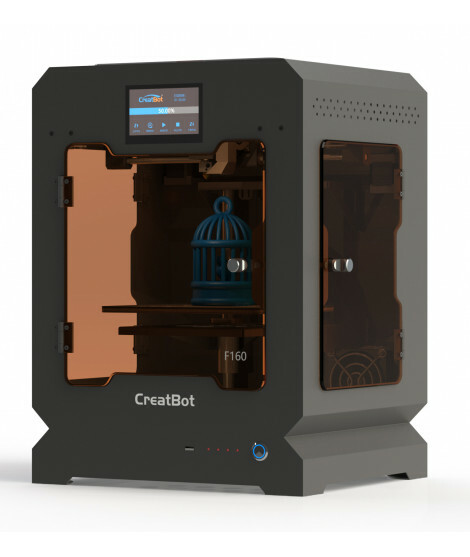 The 3D printer is equipped with a large printing surface, allowing large objects to be printed. The Zortrax M300 operates within the Zortrax Ecosystem, based on Z-SUITE software. Offers high precision and high resolution on prints. The Builder Extreme 1000, a three-dimensional industrial scale printer, meets the needs of professionals with ease and provides solutions where these are scarce. The Builder Extreme 1500 offers a large print size and total surface area while being convenient to move. Ideal for professionals. Builder Premium Large Dual Feed is here ! From artwork to functional prototypes, it is sure to cover you perfectly. Builder Premium Large Dual Feed is the all-purpose printer !!! From works of art to functional prototypes, it is sure to cover you. A professional printer that covers your every need. Builder changes data to F.F.F printing technology. A professional printer that covers the full range of requirements. Builder Premium Small Dual-Feed is one of the most advanced available 3D printers. Central to the Liquid Crystal is the patent pending Daylight Polymer Printing Technology. By combining a high resolution LCD screen and our specially formulated polymer, designers, engineers and artists can now produce large objects in high resolution.